I didn’t give you any heads up about why I haven’t blogged at all in the last few weeks, but I’ve been out of town. If you read my blog regularly, you likely know that my father recently passed away, so my sister and I had to go to California to clean out his house. We spent a week just cleaning out my dad’s garage. That will likely be one of the most physically exhausting experiences of my entire life, 14+ hours a day hauling heavy boxes out and deciding what to do with the contents. Plus, the whole garage was full of deer mice, so the risk of getting hantavirus was enough that we felt that we needed real safety gear. Let me tell you that having sweat pooled inside a respirator is a very unpleasant experience. And did I mention that ¼ of the things in that garage were rocks? My dad was a mineral collector for nearly three decades and the evidence was in his garage. The last two days we were in California were devoted entirely to sorting and hauling rocks. They were some of the most mind bendingly beautiful minerals I’ve ever seen, so it was sort of fun, but we still moved rocks for two entire days. If there’s anything you really don’t want to do after many very long days of hauling things, it having two whole days of hauling even heavier things at the end of it. So what does this have to do with insects, you might be thinking? Because all things here relate to insects somehow, right? Allow me to change gears here for a moment. Over the past few years, I have received a large number of e mails that contain a story about someone the sender loved who has died. These people have told me stories about mothers, fathers, siblings, and children who have been killed or died from illnesses. They’re sometimes heartbreaking stories of hurt and loss. But there’s one thing that ties these stories together: they all feature dragonflies. The stories typically go like this. Someone in a family has passed away, often suddenly or after a long, horrible illness. At some point after this person has died, the author of the e mail has noticed dragonflies, sometimes large numbers of them. These might be around a grave site, at the deceased person’s home, or some other meaningful spot that’s attached to memories of the departed. 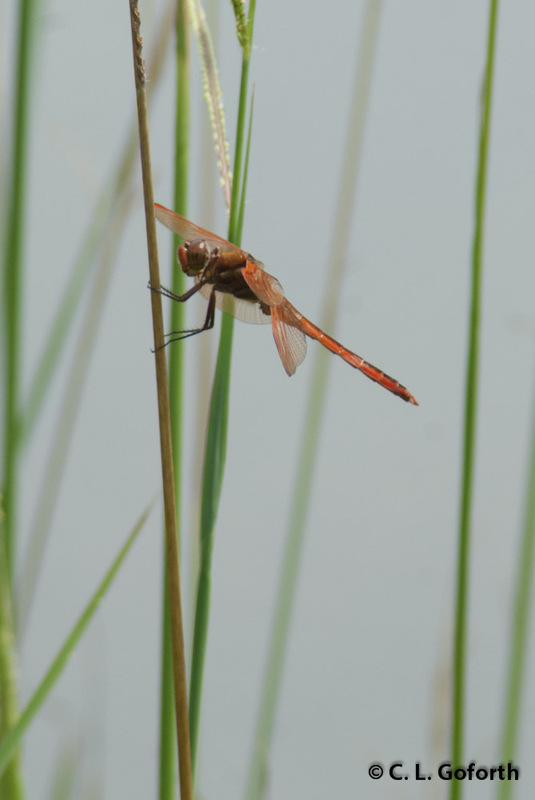 The people sharing these stories take immense comfort in the presence of the dragonflies. They’re beautiful stories, and people share them with me for, I believe, one of two reasons, 1) because I love dragonflies and they just want to tell their story to someone who would appreciate the experience they had, or 2) because they’ve read somewhere that dragonflies are the souls of departed loved ones returned to Earth to reassure their loved ones that they’re doing okay in the afterlife. They want to know what I think about that, whether it’s true. As much as I really love that people choose me, of all people, to send these stories to, I can’t help but think it’s a little odd that someone would write to a stranger to ask what essentially amounts to this: has my loved one reached some sort of happy afterlife? 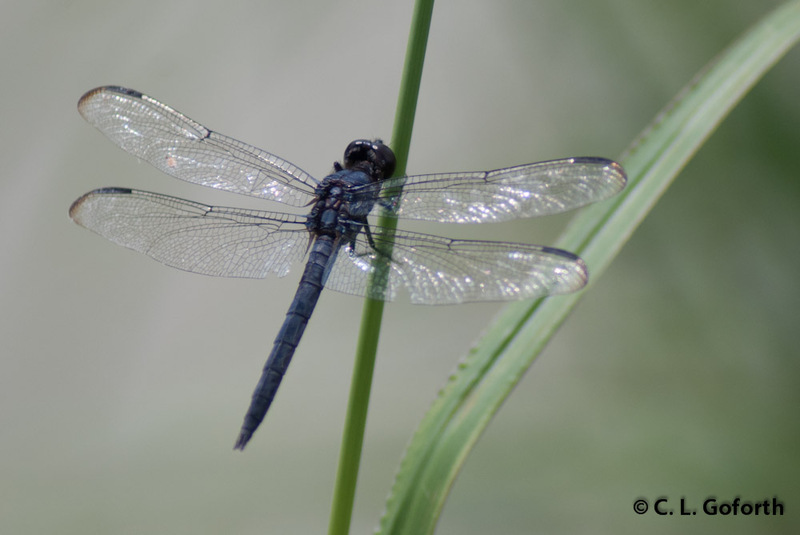 To ask a scientist whether dragonflies are spiritual messengers from beyond the grave seems odder still, and I hate that my answer isn’t the one that I know what they want to hear, that I do not personally believe this is true. 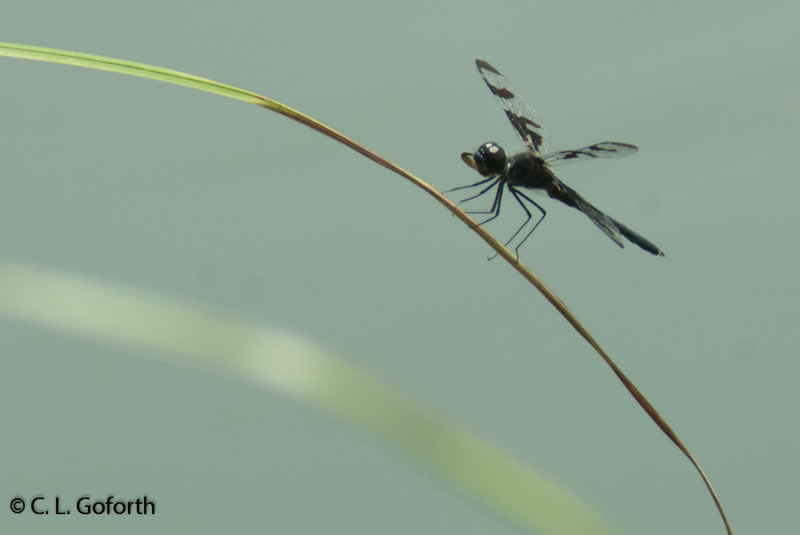 What can I say – I’m a scientist and my spiritual belief system is complicated, but it doesn’t include dragonflies as representatives of the afterlife. However, I am absolutely not the type of person who would ever tell someone they’re wrong about their own spiritual beliefs. I am not convinced that I am right and that other people are wrong, so I tell them that no, I do not believe in the idea of dragonflies as departed souls, but who knows? The world is a strange and wonderful and terrible place and who am I to tell them that they’re wrong about something they believe? I am probably the least qualified person to make judgments about their beliefs, so I tell them that and thank them for choosing to share their story with me. I tell them that I’m sorry for their loss, but I am very happy that the dragonflies gave them comfort when they needed it. Sometimes people write again to thank me for the response, sometimes not, but I respond to every one of those stories because I feel I should. The person on the other end needs that response. So let’s go back to that garage in California. My sister and I had a dumpster delivered to my dad’s house because, honestly, he had a lot of junk in his garage that wasn’t fit for donation due to mouse contamination. So, we started dumping those things in the dumpster. I chucked my first thing into the dumpster and looked up to see a dragonfly. It was flying around, up above the dumpster, a clubtail of some sort, while we were cleaning. Later that day I saw a few more hovering around in the yard. The next day I saw dozens, though they were spread out over the course of the day. My sister even noticed a few of them, and she rarely notices insects. There weren’t a lot of dragonflies at any given time, but the funny thing is this: I’ve been to my dad’s house several times, and I’ve NEVER seen a dragonfly there before. Yet here they were! Lots of them flying around as my sister and I cleaned and sorted and packed and discarded the miscellaneous flotsam and jetsam of a life recently ended. I still don’t believe in the idea of dragonflies representing the returning souls of the dead. I don’t think I’m ever going to. But those dragonflies made me pause for a moment and think of all those sad and beautiful stories people have sent me over the years, the belief that so many people have about dragonflies and the afterlife. Just for a moment, I almost believed myself. At that moment, I wanted to believe, and I suddenly understood why so many people hold onto this idea so strongly that they would share it with a total stranger half way across the world. But, even if those dragonflies weren’t my dad looking down as my sister and I did a physically and emotionally draining task, it made me stop and think about him. Every time one flew by, I remembered and smiled. For that alone, I will always be grateful to those dragonflies. Sorry to hear about your father. I know how draining going through a loved ones personal belongings can be. It sounds like your experience was not only emotionally draining, but physically draining as well! I am one of those that hold on to the idea that our loved ones are with us and send us little signs… sometimes even big ones. I don’t know if you will receive this post after so many years. I loved reading your article. 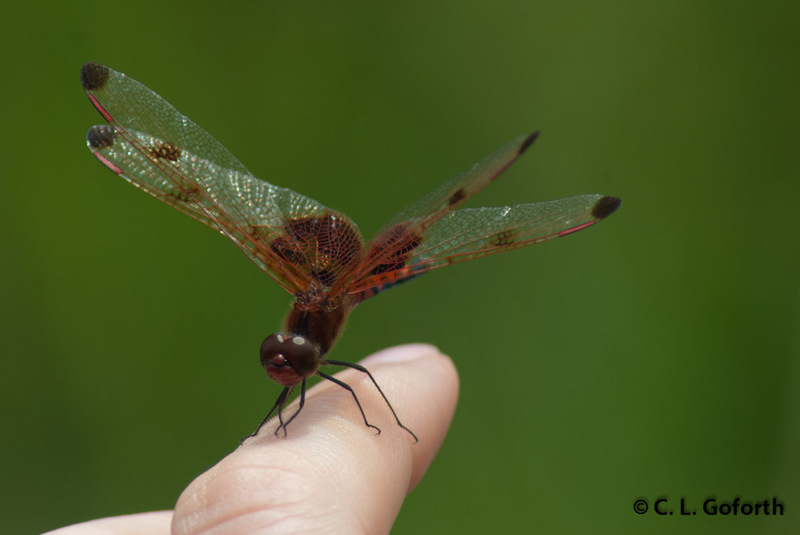 I also recently had some really amazing experiences with dragonflies, and it also was after suffering a great loss. I also felt, without consulting with anyone that the sudden arrival of dragonflies around my porch had some connection with the loss I had experienced. When I checked the internet, I found so many post describing the same thing. One explanation that I had come up with is that when you lose someone close to you, that perhaps you begin to notice the tiny little lives around you that you would just never even pay attention to before. The other explanation I have thought of is that maybe dragonflies can sense grief, or can somehow communicate with spirits of the departed, they are so very tiny but human-like, in the way that they have a spine, or something like that and tiny faces, they are similiar to our species, and really old species themselves, older than us, and used to be really huge, bigger than humans. Maybe they can feel our pain they way a sensitive dog or cat can see a human is grieving and try to lick our hand. I love dragonflies now, I was on the river today and one just sat on the boat for a long time. They are special. And thousands of people have felt how special they are, even if we have no way of explaining it. Awesome post – great writing. I’m with you on the dragonfly symbolism. Also the effort it takes to put the physical in order after someone is gone. My Mom somehow understood this and tidied everything up, leaving almost no work for us. On the other hand, my sister was unable to do that and I have ended up with a basement full of sheep’s wool, some of which is riddle with – yes – mouse poop! You rock. Hope you will reward yourself for being a good daughter. My condolences. Thank you for your kind thoughts. And I think you’re lucky that your mother left things tidy for you. I came home determined to start getting rid of everything I don’t use or don’t absolutely love so that I don’t force anyone to spend days going through useless things that don’t mean anything to anyone. I’ve done a good job of it so far, and I intend to keep going! Same here – I am constantly getting rid of the detritus that I don’t really want and considering what others will/will not find useful. It focuses the mind on what is important for sure. Always good to be able to use the lessons we are offered. Definitely! I am going to get rid of SO much stuff! But then, I’ll be replacing a lot of it with things from my dad’s house, so it might not be a net decrease in stuff in the long run… At least the things I’m bringing home are useful things, antique furniture that will actually be used! Glad you liked the post, and the little peek inside my head. This is very much the way I write when I write for myself and don’t expect anyone else to read it, but it was actully rather cathartic to put it up for people to see. Your very poignant writing really touched me as I read it in the darkness of the pre-dawn morning. You poured a lot of yourself into this posting in a way that most of us are not very comfortable doing. You caused me to stop for a moment and think about life. Thanks for sharing with us your inner journey. Wow, didn’t expect to make anyone ponder their own life with this. I’m going to consider that a compliment! Glad you got something out of the post. Such a difficult task. it was good that you had your sister to help you and even the dragonflies were there to help you pass through another difficult stage and help you contact with the good memories of the past. I was very happy to have my sister there! It would have been truly horrible without her. The dragonflies were just an added bonus! A tricky subject to address, but sensitively written. So beautifully written, thank you. Thanks for sharing your experience and your beliefs with honesty and eloquence. Whatever reason the dragonflies had to be there, the mere fact that they WERE THERE is a beautiful thing. I’m glad the memory serves to inspire your smiles. And I hope you found some good homes for your dad’s mineral collection; our daughter is becoming an amateur “rock hound” here in Vermont and I can just imagine her collection becoming something of a hoard. They are meaningful and special to her, as I’m sure your dad’s were to him. 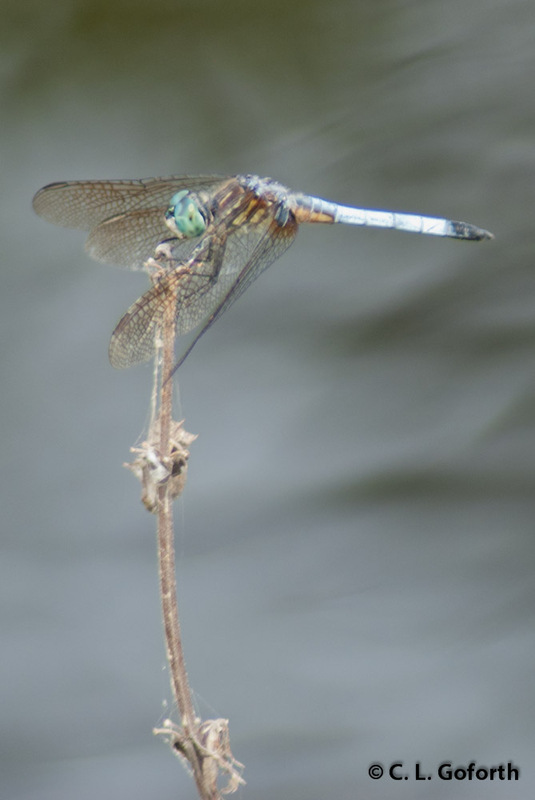 Agreed on the dragonflies being a beautiful thing regardless of why they were there! I thought exactly the same thing when I saw them. I have not found a home for my dad’s mineral collection yet, but we kept most of it and it will soon be taking it’s place of honor in my own garage. I’m hoping I’ll be able to donate the specimens to a museum, or barring that sell them to a mineral dealer, so I don’t have to keep them forever. But first, I’m going to get a replacement for the lost mineral collection box that was NOT in my dad’s garage as expected (it was apparently lost in his move to California, a rather catastrophic loss for me) and take everything I want to keep. Will restart my mineral collection with things my dad dug out of the ground himself, add the things I’ve bought on my own over the last decade and a half, and go from there! I agree with Kelly – it helped you make through some tough days and that alone made the story worthwhile. Thanks for sharing! Lovely piece Chris. Beautifully written. Thanks Bob. Glad you liked it. I am sorry for your loss. Thank you for your thoughtful reflection. You remind me of my belief that all of life is interconnected, dragonflies and all! Thank you for your kind words and I’m glad you liked the post. Two months later as I was taking the trash out a dragonfly landed on my arm I said hi mom then took a picture then as the dragonfly flew away I said by mom.